Apple is expanding into China with its second cell-phone carrier. Just how big of an opportunity is China? Updated from 9:56 a.m. EST to provide additional analyst comments regarding iPhone sales in the second quarter in the fifth paragraph, and updated share price. NEW YORK ( TheStreet) - Apple ( AAPL - Get Report) is expanding its presence in China by signing a deal with China Telecom ( CHA - Get Report) to bring the iPhone to its network on March 9, according to a Bloomberg article. The potential for Apple in the booming Chinese market is staggering, according to analysts. Apple itself has repeatedly mentioned the potential for growth in China, as Chinese consumers clamor for the tech giant's gadgets, especially the iPhone. The response to Apple's products in China has been "staggering," according to CEO Tim Cook during the company's recent earnings call. China Telecom said it would take reservations for the phone online, starting March 2. Last year research firm Ticonderoga Securities cited massive scope for the iPhone in China. 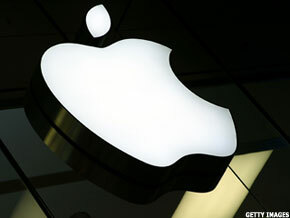 It saw Apple tapping a potential market of between 100 million and 125 million iPhones. Canaccord Genuity analyst T. Michael Walkley raised his iPhone estimate for the March quarter thanks in part to stronger international sales, including China. He raised his iPhone estimate for the March quarter to 32.6 million units, up from 30.1 million. Walkley has a buy rating and a $665 price target. The Cupertino, Calif.-based company already has a significant presence in China thanks to its partnership with China Unicom ( CHU - Get Report). Barclays Capital analyst Ben Reitzes believes if Apple were also to get its phone on the China Mobile ( CHL network, it would be a "major win for the company." We believe that China could be a major driver of upside to iPhone estimates in CY12 - with our estimate for WW unit sales of 138.8 million units still feeling conservative," Reitzes wrote in a recent research report. He rates shares overweight with a $630 price target. There are reported to be several million "illegal" iPhones on China Mobile's network. China Mobile is China's largest mobile carrier, with over 600 million subscribers. Apple has just five retail stores in mainland China, but revenue has increased exponentially every year, highlighting the potential for the iPhone, and all things Apple, in the world's most populous nation. In 2009, China accounted for just 2% of Apple's revenue, growing to 12% in 2010. Overall, the Asia-Pacific region accounted for 19% of Apple's total sales in the first quarter of fiscal 2012, up from 17% in the prior year's quarter. Demand for Apple products has become so intense in China that the company recently had to suspend selling the iPhone 4S at a China Unicom store due to the enormous amount of customers outside. While some believe the episode could have been better handled by Apple, the iPhone maker has undoubtedly become a victim of its own success. This much is certain. Apple is starting to take advantage of China's enormous potential, selling the iPhone every way it can. Shareholders are extremely pleased with the results, with shares up 24% year-to-date, and 43.2% year-over-year. Apple shares are up more than 2% in Tuesday trading to $512.72.